The Cuban Revolution began on October 10, 1868, and continues to this day. Oct 5 (teleSUR) Cuba is preparing for the 150th anniversary of the first declaration of independence, known as the Call of Yara, including artistic, productive and education activities. In Granma province, where the event took place, the government is building new housing units, organizing collective agricultural work and music performances, including orchestras. A neighboring community will also see its primary school and houses renovated. 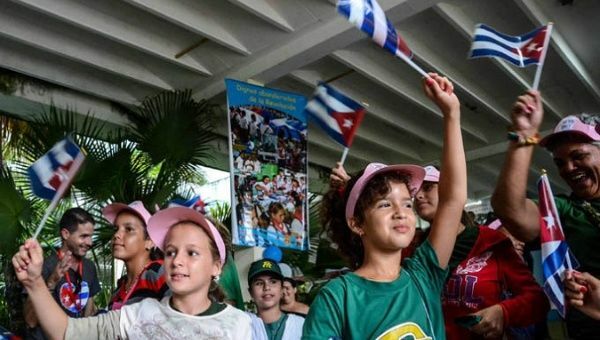 School children and teenagers from different provinces will camp at historical sites over Friday night to commemorate the first call for independence, according to the local coordinator of the Communist Youth Union, Mayrelis Gregorich Fonseca. The local newspaper La Demajagua is also organizing a massive tweeting day on October 10, using the #LaDemajagua150, #10October and #OnlyOneRevolution hashtags to spread information about the reasons and objectives of this historical event, according to publications head Geidis Arias Peña. The online movement will also aim to honor composer Perucho Figueredo, who wrote the Bayamo Hymn, and other figures that played a key role in the independence and nationalist struggles. The date marks the day in 1868 on which Carlos Manuel de Cespedes made public the ‘Manifesto of the Revolutionary Junta of the Island of Cuba.’ The event, known as the Call of Yara, took place at his ranch ‘La Demajagua’, in Yara, and is recognized as the first insurrection that led to the Ten-Year War and eventual independence from Spain. De Cespedes released all his slaves and called for an independent, nationalist Cuba where every human being would enjoy equal status. The economic and political oligarchy, on the other side, preferred to maintain its overseas business and crushed the insurrection. At the moment there were about 300,000 slaves on the island, out of a population of 1,359,000 inhabitants. Even though the movement failed at its beginning, it’s recognized as the first large scale sublevation against slavery and the Spanish crown, and the news of it made it to national and international press, fostering further revolutionary movements. The Ten Year War was followed by the Small War (1879-1880) and the Independence War (1895-1898), the latter organized by the revolutionary poet Jose Marti. According to Fidel Castro, the one and only Cuban Revolution began with Cespedes, triumphed in January 1959, and continues to this day.